The only triple blade disposable razor with pre and post shave lubricants for a close, more comfortable shave. Rubber grip for extreme control. 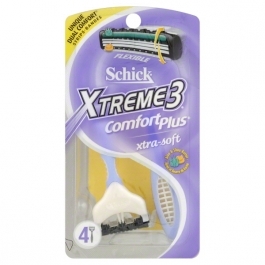 The only disposable razor with 3 blades that flex and pivot to provide a close, comfortable shave.